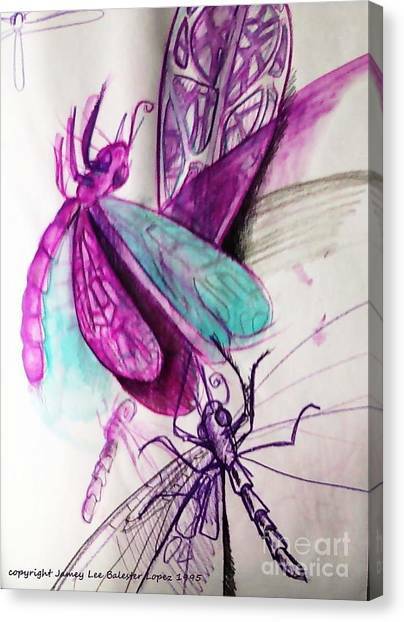 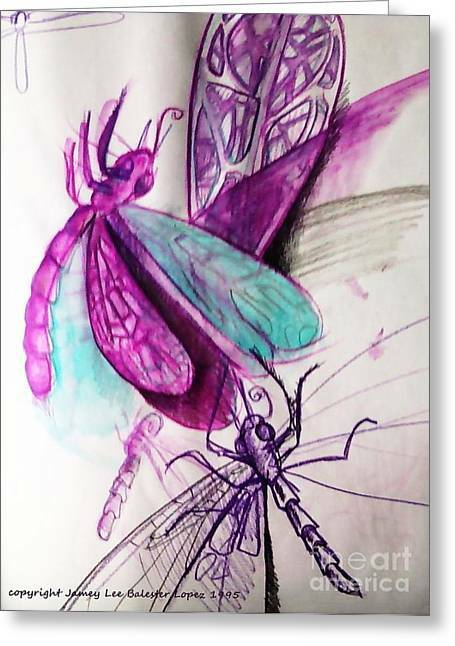 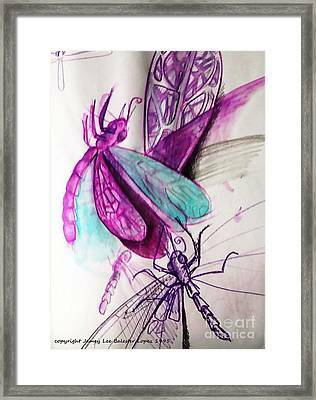 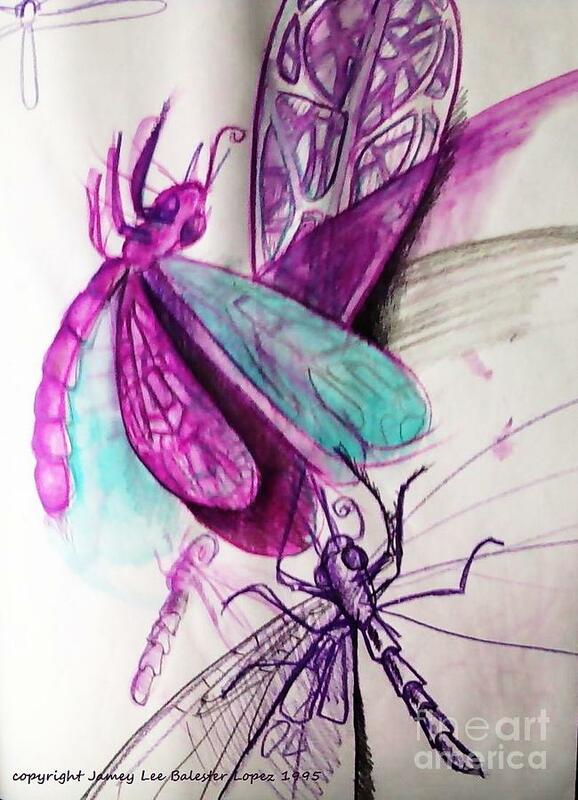 Purple Dragonflies is a drawing by Jamey Balester which was uploaded on October 6th, 2010. 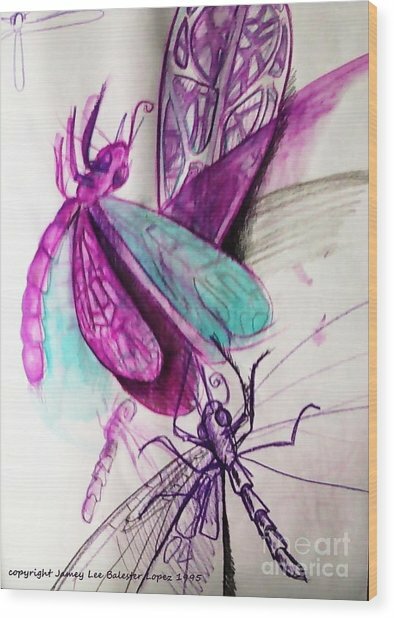 I really think that dragonflies are magnificent creatures. Difficult to capture one of God's great designed creatures.